Deadly attacks in southern Israel Jump to media player At least seven people have been killed in a series of attacks on vehicles in southern Israel, Israeli medics say. Gunman attack vehicles in Israel Jump to media player Reports from Israel say several people have been killed in at least two shooting attacks on vehicles travelling near the Egyptian border. At least seven people have been killed in a series of attacks on vehicles in southern Israel, Israeli medics say. 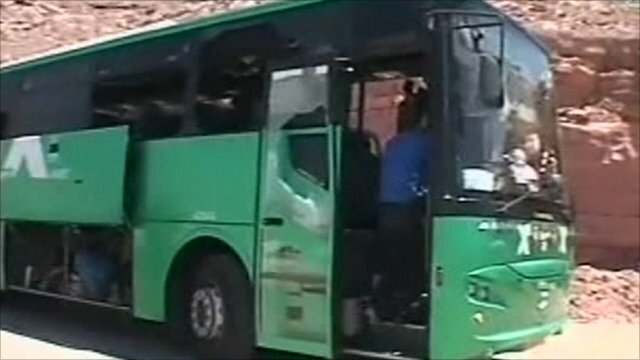 The attacks began when gunmen fired at a bus that was travelling near the Egyptian border. 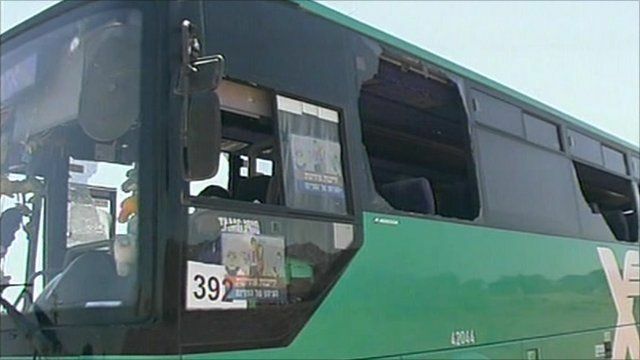 Officials said two other vehicles were hit - one by a rocket and one by an explosive device - and that several gunmen died in an ensuing firefight. It is the first major attack on Israel's border with Egypt for several years.